Class action lawyers had a bit of a rough week in the U.S. District Court for the Northern District of California, a jurisdiction that has seen more than its fair share of class action lawsuits lately. Fraley v. Facebook. We last discussed the fate of a class action lawsuit against Facebook and its “Sponsored Stories” program almost exactly a year ago. At that time, Judge Richard Seeborg had called into question some aspects of the proposed settlement, including the lawyers’ fee request and the proposed cy pres award. The settlement has now been finalized. In his August 26 order, Judge Seeborg approved a $20 million settlement fund, from which class members can each claim $15. Fraley’s lawyers sought fees amounting to 37.5% of the settlement (which equaled $950/hour for lead counsel and $350/hour for second-year associates). Facebook, to its credit, opposed the fee request. The judge thus set the fee award at 25% of the settlement funds after costs and the payment of “incentive awards” to the named plaintiffs. Fraley and two other named plaintiffs sought incentive awards of $12,500; Judge Seeborg awarded them only $1,500 each. Center for Democracy and Technology (10%), Electronic Frontier Foundation (10%), MacArthur Foundation (10%), Joan Ganz Cooney Center (10%), Berkman Center for Internet and Society (Harvard Law School) (6%), Information Law Institute (NYU Law School) (6%), Berkeley Center for Law and Technology (Berkeley Law School) (6%), Center for Internet and Society (Stanford Law School) (6%), High Tech Law Institute (Santa Clara University School of Law) (6%), Campaign for Commercial-Free Childhood (6%), Consumer Federation of America (6%), Consumer Privacy Rights Fund (6%), ConnectSafely.org (6%), and WiredSafety.org (6%). Custom LED v. eBay. On August 27, Judge Jon Tigar denied approval to the settlement of another class action. 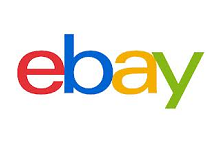 Custom LED had accused eBay of breach of contract, unfair competition, and false advertising related to its “Featured Plus!” program. After reviewing the proposed settlement, Judge Tigar identified a number of “obvious deficiencies” in the document. He ruled that the scope of release from liability was too broad; the notice to the parties was deficient; the settlement fund distribution method was unfair; and the proposed cy pres award recipients, the National Cyber-Forensics & Training Alliance and the National Consumer Law Center didn’t have a sufficient nexus to the class members and their claims. Two Cheers for the “Food Court.” The Legal Pulse has been critical of some decisions judges in the Northern District have issued over the past year, decisions which have helped make it the jurisdiction of choice for food “mislabeling” class actions. Others, reportedly including some Northern District judges, have even joined us in using the Food Court moniker. But these Northern District judges, in these particular (non-food) class actions merit our two cheers. Though we’re less than thrilled with the cy pres award in Fraley, we applaud the other actions taken in these cases, given that high attorneys’ fee awards and quick, easy settlements are two major stimulants of class action litigation.